Topics: English, Motorcycle, Composites, and Foundry. 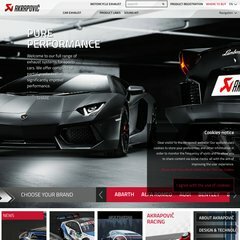 ns1.akrapovic.si, and taurus-1.siol.net are its DNS Nameservers. The programming language environment is ASP.NET. It is hosted by Waypoint Systems Ltd Ip Space England, using Microsoft-IIS/7 web server. PING (94.236.71.195) 56(84) bytes of data.